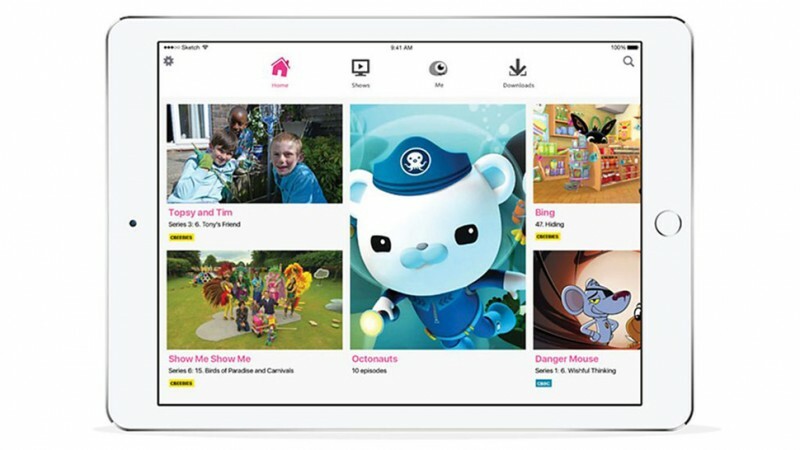 The BBC today unveiled the iPlayer Kids app for iOS, which allows children to safely access CBeebies and CBBC shows directly. The family-friendly app offers access to over 10,000 shows and enables up to four profiles to be created on one device for the delivery of specialized content to each child. Parents and guardians can create a profile for children by selecting an age and a character avatar to identify the child's account, after which specific programs for pre-schoolers or over-fives can be viewed. Episodes can be downloaded over Wi-Fi to be watched away from the home, and shows are available to stream or download for up to 30 days each. The BBC iPlayer Kids app meets the needs we know are absolute deal breakers for kids and parents. We’re offering choice and control, wrapped up in a child-friendly design and the largest range of home-grown UK content on a platform parents can trust. The BBC app is both ad and in-app purchase free, and includes a parental control function that locks the app during use so children are unable to access any BBC links, other apps, or settings. Well if you can't afford a licence then don't watch tv. I can't afford Starbucks but it doesnt mean I nick them. If you can afford an iPhone, iPad or Mac then you can afford a tv licence. Not available in U.S. Store. Those who are in UK let in know how it is. That is if anyone from the UK visits MR.
And it'll provide even greater value from the license-fee, for my family. It wouldn't be, you don't pay the license-fee. Downloading now - will have a look and let you know. I wish we could get it in the USA for a fee, my Grandson likes watching a few of the shows they make available here via apps like Noggin. That is if anyone from the UK visits MR. I heard those islands in the UK just got internet, give'em time to log on to the World Wide Web! As it currently stands you don't need a TV licence to watch TV that isn't live. So there is that. Also there is a cheeky way-around that I know some students do. Technically, your parent's TV licence covers their TV as well as mobile devices such as laptops etc. Your laptop can be considered part of this as long as you don't plug the laptop into an outlet in your place - as soon as this happens it becomes a part of that flat and needs a TV licence. "A hall's licence doesn’t cover a student in their room. Their parents’ licence also won’t cover them, unless the student only ever uses devices that are powered solely by their own internal batteries, and they don’t plug them into an aerial or the mains."